There is always a sense of pride when your hometown is recognized, so when David Chang announced to the world that he would open his famed New York eatery Momofuku in Toronto, I was psyched. I know, I don't live in Toronto anymore, but this is about the city you love getting a huge stamp of approval! 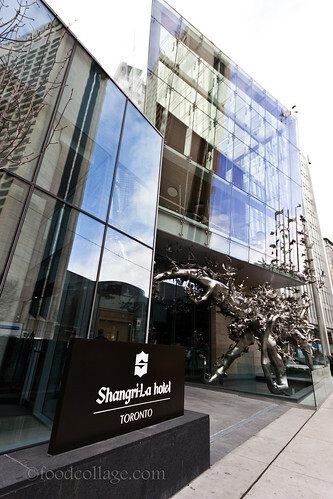 Momofuku finally opened in August and occupies three floors of the Shangri-La Hotel with four separate restaurants. On the first floor is the casual, walk-in only Noodle Bar with communal seating, while Nikai, a bar/lounge, takes up the second floor. The third floor houses Daisho, featuring seated a la carte lunch and dinners as well as a large format menu that must be reserved in advance, and Shoto, a tasting-only spot where an approximately 10-course chef's special may be had for $150. On my visit to Toronto, I tried to make a reservation for Daisho a few days ahead of my intended visit, but the earliest time available was 9:45 pm on a weeknight! Ah, maybe next time I will have to plan ahead. Still undeterred, I decided to swing by the Noodle Bar for a quick lunch one day. I had heard horror stories about long waits from the downtown lunch crowd, so I made sure to arrive by 11:45 am (Noodle Bar opens at 11:30 am), which worked out well as I was able to be seated right away...and by noon the place was packed! My brother had recommended the famous Pork Buns, with scallion, cucumber, dressed in hoisin sauce, and wrapped in a slightly sweet bun. These sure came with a price tag fit for Shangri-La ($10 for two small buns), but the juicy, tender, melt-on-your-tongue meat makes it worth every penny. Famous pork buns are famous for a reason. I also ordered the Smoked Chicken Ramen, with very tasty, juicy local chicken, mushrooms, scallion, menma (a richly flavored sweet and salty condiment made from bamboo shoots), poached egg, in a garlicky miso broth. The noodles were perfectly al dente. Overall, I found the ramen quite enjoyable. 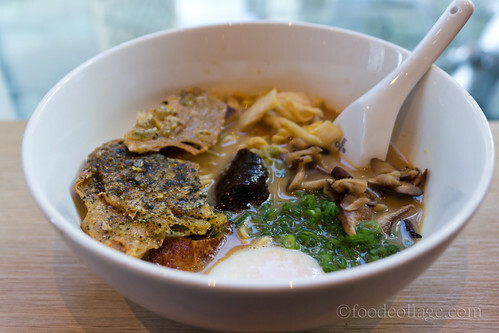 Admittedly, despite my initial excitement about visiting Momofuku, I had read some harsh reviews online and also heard from various sources that it is just "all hype." Would Momofuku prove to be a disappointment after all? 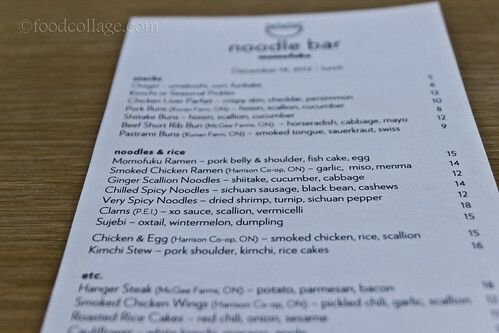 Now that I've eaten at Noodle Bar, I'm truly glad that I didn't listen to the naysayers. I thought the ramen was good. Could it be better and cheaper? Probably. But it was solid, and I found myself still thinking about it long after lunch that day. Besides, it's ramen, folks. Perhaps the extraordinarily lofty expectations are a little unfair? 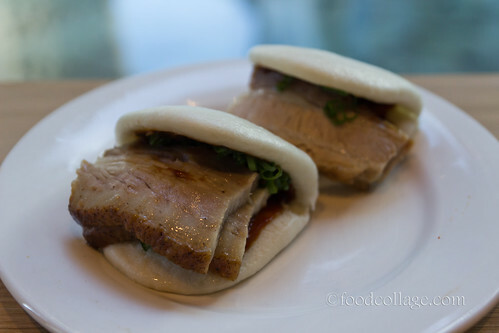 And those pork buns! They absolutely wow'd me. I would come back just for those.